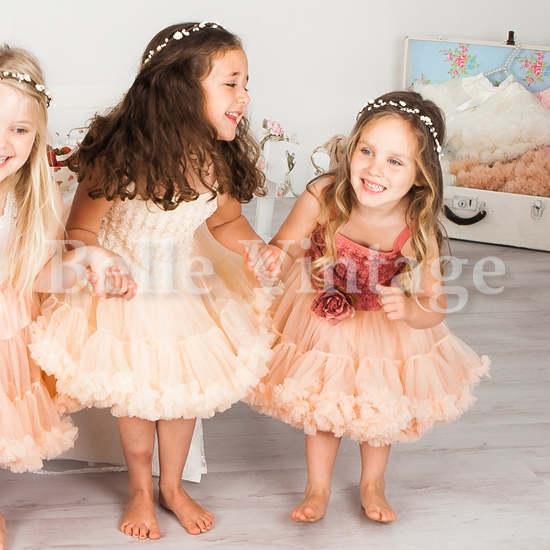 Our Beautiful Belle Tutu Dress (in our best selling Vintage Roe Pink colour) will have your little girl twirling all day long. 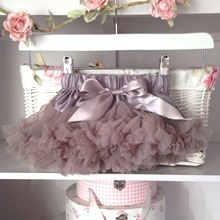 The bottom tutu section is double layered making it super flouncy and full. 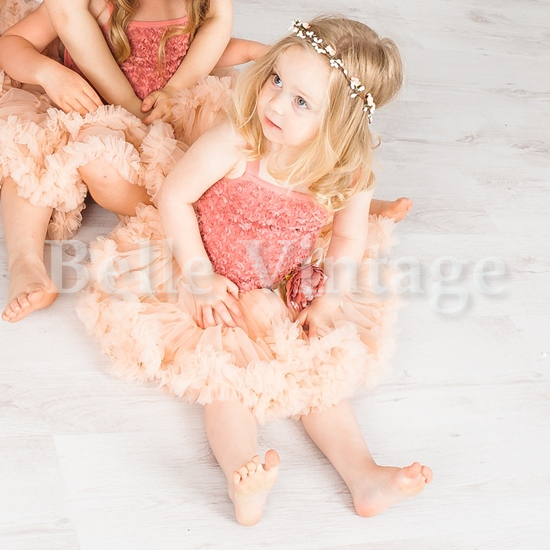 The tutu is a nylon/chiffon mix and the top of the dress is cotton, making it very comfy and lightweight. Small rose bud details are built into the upper section of the dress and a stunning detachable rose accent brooch sits just above the ruffles. Matching Vintage Pink Rose Bow Hairband also available to buy in our shop as well as stunning handmade hair garlands!